“Last year my husband died very suddenly and completely unexpectedly. Having no children, my three dogs really are my babies and my husband used to walk them as I have arthritic knees and my mobility is very limited. I kept looking at BorrowMyDoggy knowing I needed help, especially because one of my dogs, Bella the Boxer, needed to lose some weight, but I was very cautious. I joined and matched with Paula - she lives in the same village and has a dog of her own who doesn’t like walks. We met up, just us humans, to sound each other out. We chatted very easily and I was happy to give it a go. Bella can be reserved with new people and it took a couple of visits before she took to Paula, but then she would sit in the window looking for her. They fell in love and now Paula and Bella walk together three times a week, often more. I have joined Weight Watchers and am hoping that losing weight will help me to get more mobile so I’ll be able to walk my dogs myself, but Paula and I have agreed that when this happens she will still come on our walks. 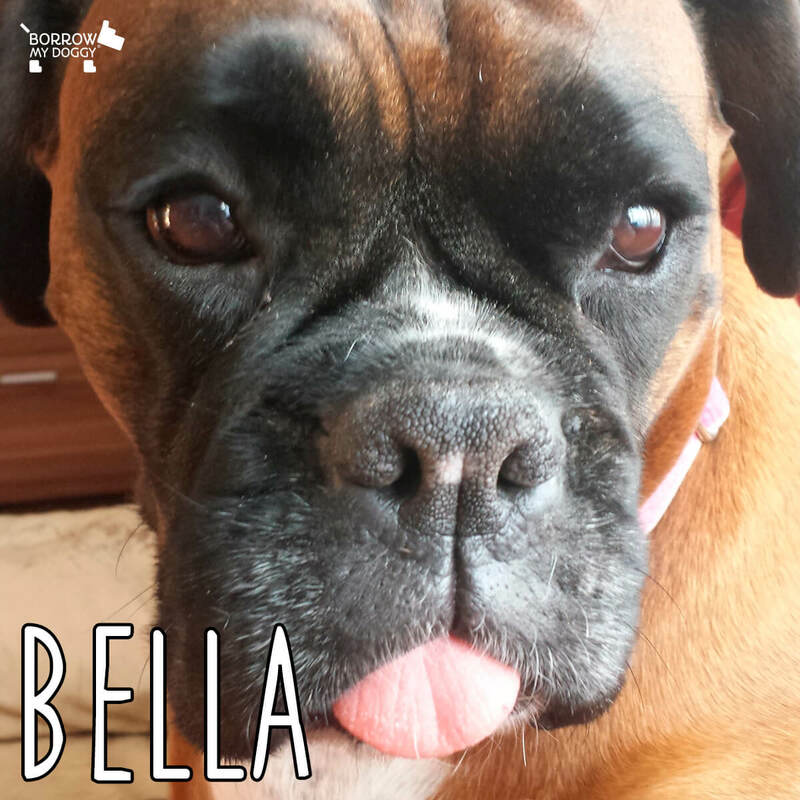 Bella thinks the world of her, which has made loosening that tight hold I had on my baby so much easier.” - Bella's owner, Angi, from Nottingham.